A new study has revealed a rapid response between global temperature and ice volume/sea-level, which could lead to sea-levels rising by over one metre. During the last few million years, global ice-volume variability has been one of the main feedback mechanisms in climate change, because of the strong reflective properties of large ice sheets. 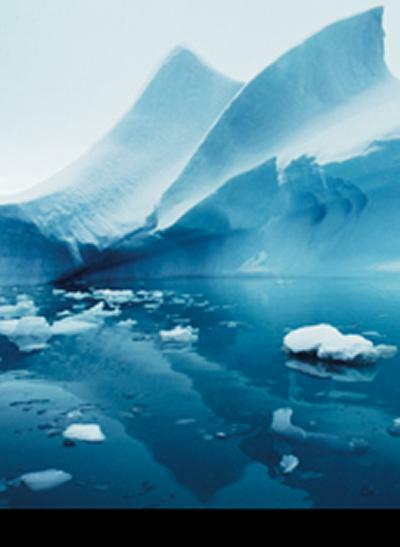 Ice volume changes in ancient times can be reconstructed from sea-level records. However, detailed assessment of the role of ice volume in climate change is hindered by inadequacies in sea-level records and/or their timescales. Now, for the first time, scientists are able to accurately date continuous sea-level records, to allow detailed comparisons of the ice-volume variability with independently dated ice-core records from Antarctica and Greenland. Previous studies of the timing of past ice-volume changes relied on the ‘Red Sea relative sea-level (RSL) record’ for reconstruction of highly resolved and continuous records of sea-level variability over the past 500,000 years. The drawback of the RSL method, however, is that it did not have independent age control. This inhibited detailed comparison with other well-dated climate parameters, such as temperature or CO2 records from ice cores. An international team of scientists, led by Eelco Rohling, Professor of Ocean and Climate Change at the University of Southampton, has developed a new method of dating the RSL record by using Mediterranean data from radiometric (Uranium-series) dating of cave deposits. This provided a much improved timescale for the RSL record. The team was able to apply the new dating method throughout the entire last glacial cycle (150,000 years), which resulted in an unprecedented continuous sea-level record with excellent independent age control. By comparing the ice-volume fluctuations with polar temperature reconstructions from the Greenland and Antarctica ice cores, the scientists found that changes in temperature and ice volume/sea level are closely coupled with a response time lag of only a few centuries. This timing relationship was previously unknown, and it reveals a very fast response between global temperature and ice volume/sea level. The study also found that periods of extensive ice-volume reduction/sea-level rise were always characterised by very fast changes, of the order of one or even two metres per century sea-level rise. Professor Rohling, who is currently based at the National Oceanography Centre Southampton but will join the Australian National University next year, says: “This is the first time that these rates could be measured for any other period than the end-of-ice age 'terminations/deglaciations'. Although it is always hard to step from palaeo reconstructions to future projections, it suggests that when significant ice-volume adjustments happen, they are rarely slow. “Ice sheet responses to a change in climate forcing are like the responses of heavy freight trains to firing up the locomotive. They are hard to set in motion (slow to ‘spin up’), but once they are reacting, they will be equally slow to ‘spin down’. So a lag of a few centuries is worrisome, because we have been warming up the climate for 150-160 years now. If the natural relationship (when changes in climate were slower than today) also holds for the very fast changes in climate today, then we are coming into that ‘window’ of time where we may expect to start seeing some unprecedented responses in the large ice sheets. This then may tie in with observations of the past decade or so of large ice-shelf collapses around Antarctica and Greenland, the major melt-area expansion over Greenland, changes in the flow speed of major ice streams (both Antarctica and Greenland), and increasing ice-mass loss over West Antarctica/the Antarctic Peninsula and Greenland. “Ice volume is related to ice area, and ice is very reflective. So a large ice volume/area reflects a lot of incoming solar radiation. When the ice volume/area reduces, less incoming radiation is reflected, which leads to regional warming. Atmospheric temperature has little inertia, so it will respond very quickly to ice-volume changes. The Red Sea method, previously developed by Professor Rohling’s research team, uses the fact that the Red Sea is a highly evaporative region (about 2m water loss per year), and no/very little river input. In addition, the Red Sea has a very restricted Strait for communication with the open ocean. This Strait is only 137m deep, almost the same as the ice-age sea-level swings over about 125m. Because water in the Red Sea is so restricted from the open ocean, the large evaporation causes it to have a very high salinity (about 40 today), as well as a heavy oxygen isotope signature (18O/16O ratio). Changes in the latter can be measured using microfossils from drill cores of Red Sea sediments. When sea-level drops, the Strait gets even more restricted, and less water can be exchanged with the open ocean. This can be successfully evaluated with a hydraulic control model. Because less water is exchanged with the open ocean, the water inside the Red Sea is exposed longer to the high evaporation. Hence, with a drop in sea-level, the salinity and 18O/16O ratio increase. Scientists measure that ratio from the sediment cores, and translate the 18O/16O changes into sea-level changes by inverting the hydraulic control model. The biggest problem until now was that the Red Sea sediment cores could not be independently dated. The present paper resolves that weakness, by using Mediterranean records (where similar processes are at work but in a weaker form), which can be dated using extensively Uranium-series dated Mediterranean cave deposits.